I think I'm way late to the Instagram party - but better late than never! 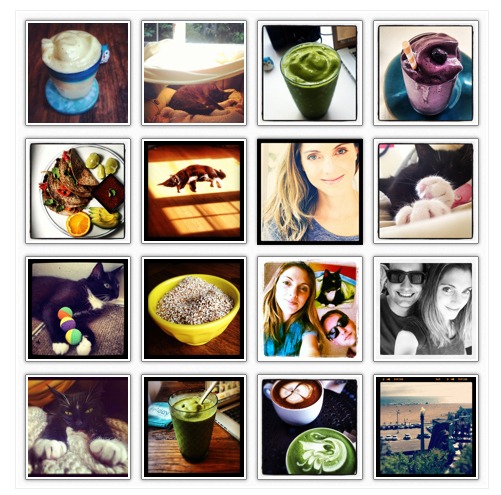 My new Instagram obsession - plus a few new smoothie recipes from my Instagram photos - Light Piña Colada and a Frosty Acai Blueberry blend.. Ever since I realized that I could Instagram from my iPad, I have been obsessed. Since I don't have an iPhone (yet) I thought I was simply left out of the Instagram party - but hooray when I realized both iPad and iPod Touch gadgets allow it. Obsessed. I've been addicted to showcasing pics of smoothies, my kitty being cute, beach scenes, yummy vegan eats, family, brunching and more. I never knew taking photos without the help of my giant Canon camera could be so FUN and beautiful!! Tips, Cool People? And since I'm still new to this Instagram stuff - please share your tips, fave people to follow and even photos - and fellow bloggers, how do you use instagram? I'd love to find more cool people to follow! 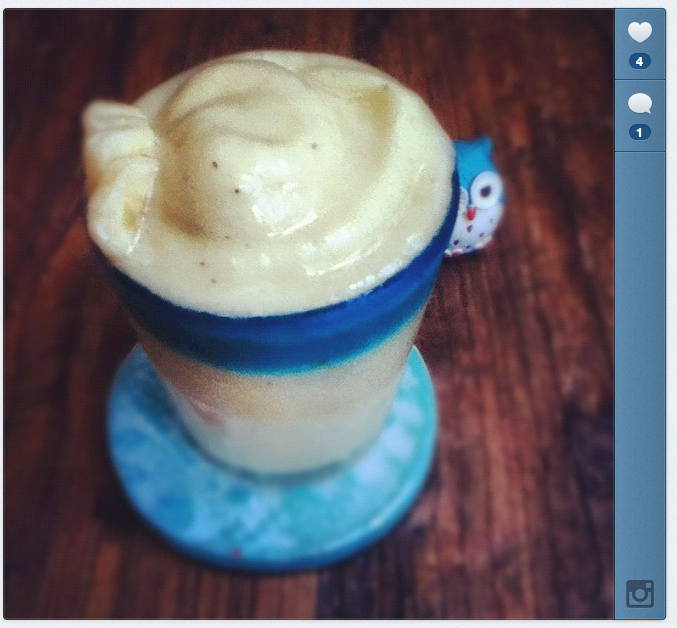 Here are a few recipe pics of mine..
As promised, here are two recipes - from smoothies I have Instagrammed.. Blend and serve! For a frostier blend add 'half-frozen' pineapple. Blend and serve. 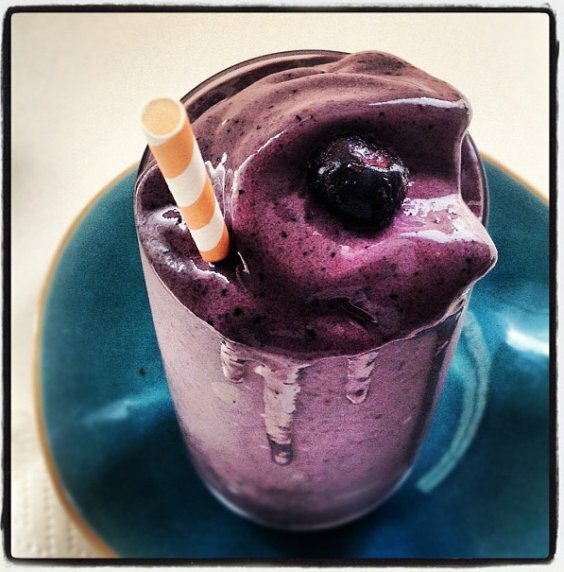 If you do not have a smoothie pak - you can sub with ice cubes + 1 heaping tablespoon of acai powder. I even felt the need to Instagram myself.